We are now on the countdown to Christmas and charities are relying on the traditional good will to all men vibe to boost their bottom line. But in such a crowded sector how will you make sure there is room at the inn for your cause? Here is an early gift from Big Heart Network – a Christmas list of ideas to drum up donations during this season of giving. An advent calendar email campaign is a gift of an idea. Every day in December is an opportunity to talk to your support base about things the charity has achieved over the last year with a call to action or donate button on every message – a mini 24-day campaign. And on the subject of advent calendars, the reverse advent idea is a brilliantly festive way to up donations. Every time a window on the family advent calendar is opened, add an item to the donation box. The taste of that little chocolate Father Christmas will be even sweeter knowing that the full box will be off to some grateful organisation before the big day. Remind supporters they can donate last year’s unwanted presents that are gathering dust and they can do the same this year with any duplicates. Or sell them on eBay and pass on the profit! While people are in a present-buying frame of mind, share your Christmas wishlist. It really helps to know what is needed and how much things actually cost. £10 may be a lot or a little to donate, but by showing what it could buy and how it will help gives the donor ownership of their support. Encourage your supporters to ditch the greeting cards and send the cash saved to your Christmas appeal. Let them know you are going card-less (if you still send them) or how much your organisation saves each year by sending e-cards instead. Most charities will be holding a winter-themed fundraising day. If you haven’t organised one, do. You are missing out on Christmas shoppers looking for a festive event to get them in the mood, particularly if it is something indoors and child-friendly! Don’t forget to get lots of great pictures and permission to use them on social media and in future publicity too. 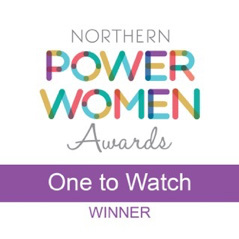 It is too late for this year but make a plan to team up with a newspaper, website or radio station next year for a seasonal partnership, which will extend your reach beyond your usual supporters, raising brand recognition and awareness of your work as well as funds. Encourage supporters on social media to pledge to volunteer with your charity as part of their New Year’s resolutions. Add a downloadable graphic and hashtag they can use on posts to show support. Thank you letters from beneficiaries shows accountability and gratitude, encouraging people who have donated over the Christmas period to continue their support. It is only polite! And don’t forget to schedule social media Christmas messages in advance of the big day. 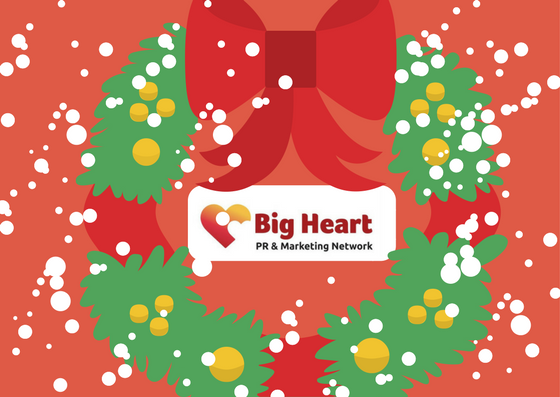 Happy Christmas from all at Big Heart Network! If you would like some more ideas from Santa’s little helpers, get in contact with the Big Heart Network at grace@yellowjigsaw.co.uk or check out our Lunch&Learn seminars that are coming up here. We’d love to help.